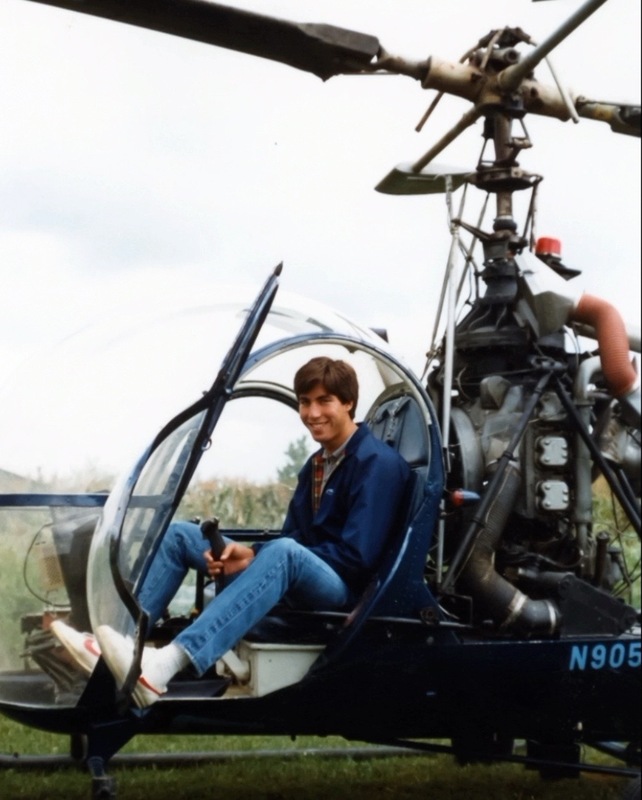 For 38 years Alan Purwin was an invaluable part of the aviation community, said by A-list director Michael Bay to be, “one of the best aerial helicopter pilots in the world. He flew camera ships for so many – and for almost every one of my movies”. Today, on Alan’s birthday, Helinet remembers its former Founder and CEO by looking back on his life and legacy. Starting his aviation career at the early age of 16, Alan flew ten to twelve hour days as a crop duster in Indiana. Shortly after his time as a crop duster, Alan began working for a California company where he provided aerial footage for the 1984 Summer Olympics in Los Angeles and soon after that, Alan entered the film and television industry, flying stunts for such shows as Airwolf and The A-Team. Alan continued to build his career as a film pilot, while simultaneously building an aviation empire. He saw that most aviation companies used outdated equipment and based their business on a small selection of rotorcraft. In response to this increasing need, Alan co-founded West Coast Helicopters in 1987. In 1998, Alan purchased Helinet Aviation and merged it together with West Coast Helicopters. Following this merger, Alan met with the head of the emergency transport program at Children’s Hospital Los Angeles (CHLA) in 1999. During that time, the hospital did not own a helicopter. 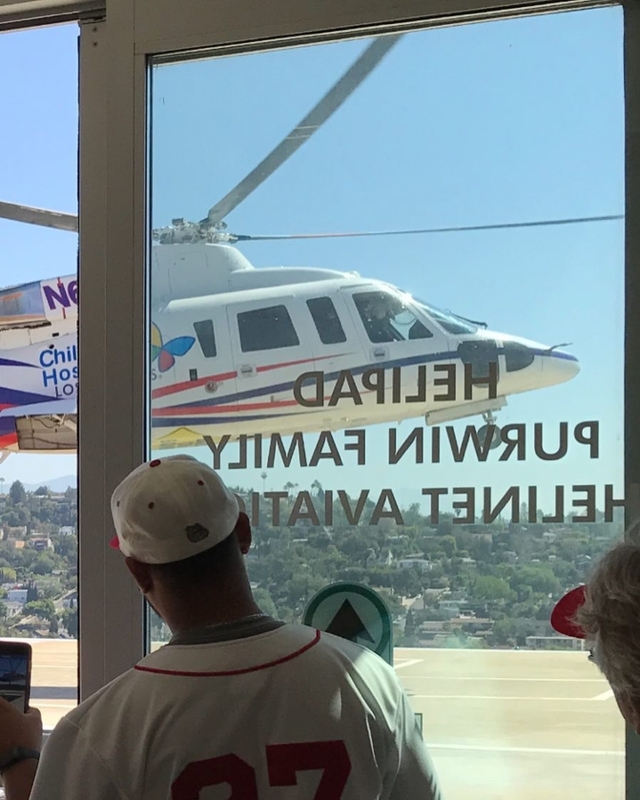 Children’s Hospital Los Angeles could not afford to purchase a helicopter, pay for a pilot or fuel. 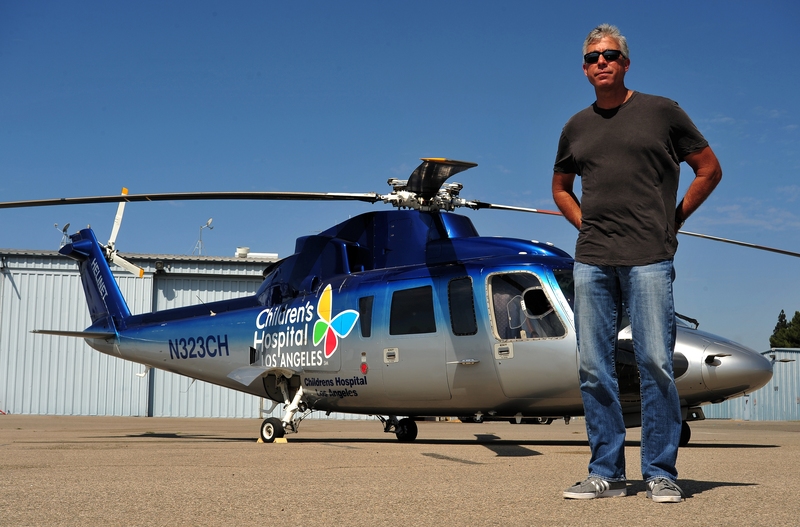 Alan saw how the hospital needed a better solution to help save children’s lives, leading him to donate a brand-new Sikorsky helicopter that was fully equipped for medical purposes. 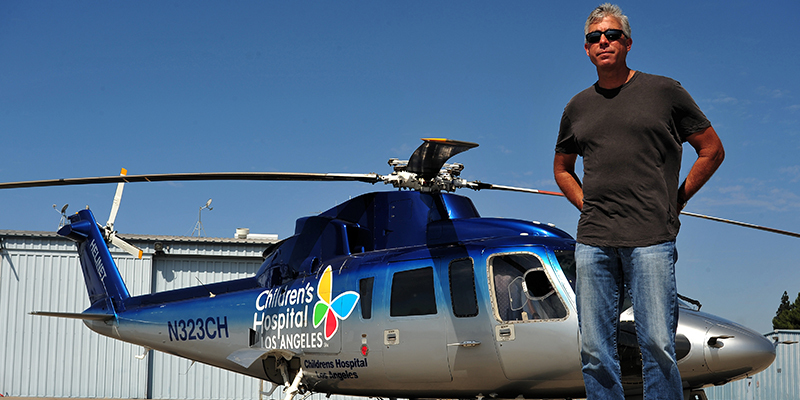 Alan also provided an additional backup helicopter for CHLA, including full flight support, all for free. 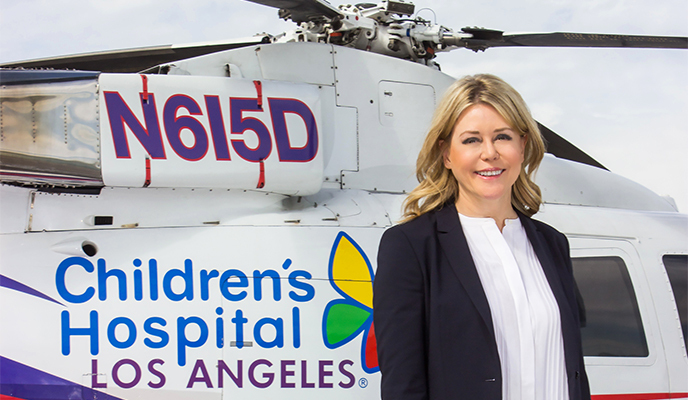 Alan’s generosity led to Helinet becoming the exclusive helicopter transport provider for Children’s Hospital Los Angeles and to him providing leadership and guidance as a member of the hospital’s board of directors. Alan was one of the most sought-after helicopter stunt pilot and aerial coordinator in the world, having turned his skill and passion for flying into multi-faceted business. 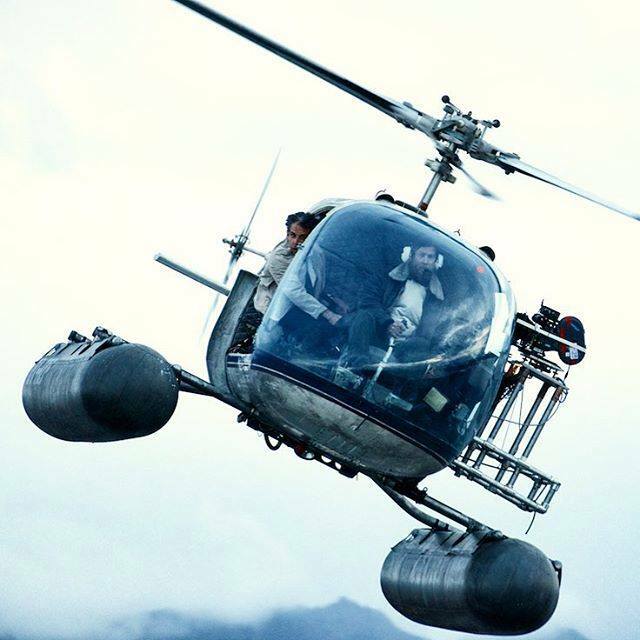 Alan’s spectacular work as an aerial coordinator for the Hollywood film industry was essential to the visions of A-list directors he worked with on more than 100 films, including the “Transformers” series, “Armageddon” “Pearl Harbor” and “Tropic Thunder”. Alan’s ability to safely create movie chaos was a skill valued like no other in the motion picture industry; always willing to push the envelope, but having everything planned down to the smallest detail to accomplish the director’s vision with viable solutions and maximum safety. In 2003, Alan purchased a controlling interest in Cineflex, an aerial-camera startup that developed the first gyro-stabilized camera system capable of transmitting high-definition video from a helicopter. Over the next three years, Alan established the Cineflex camera system as the go-to system in the television broadcast and production, electronic news gathering, and aerial surveillance markets before he sold the company in 2007. Alan acquired SHOTOVER Camera Systems in 2012, which developed an even more sophisticated aerial camera system than his previous company Cineflex. After Alan purchased the company, SHOTOVER systems quickly became the industry standard and choice of cinematographers around the world. Alan saw the endless possibilities of drones and was the visionary behind the company’s U1 drone. In 2005, Alan provided support to the U.S. Coast Guard and the Department of Homeland Security during Hurricane Katrina. He flew in with the very first Coast Guard rescue helicopters a few hours after the storm had passed through. Alan and Helinet stayed for several weeks in New Orleans, helping to provide some of the first televised images of Katrina’s destruction to the world. Alan also assisted with the rescue efforts during this time, helping to find and direct emergency crews to hundreds of stranded people. 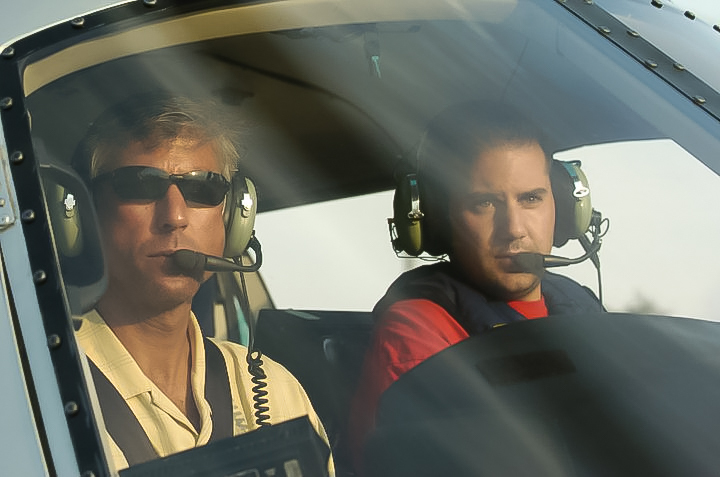 During his time in New Orleans during Katrina, Alan saw the growing need for aerial surveillance systems to perform critical elements of public safety and national defense and launched a division of Helinet that helped revolutionize the way law enforcement was able to protect communities across the globe. The Alan Purwin Emergency Medical Transport Program helps save lives one helicopter ride at a time. Alan tragically passed away in 2015 but his life work continues to inspire the aviation community to push the boundaries and innovate. He lives on in the films he contributed to as a stunt pilot and aerial coordinator, as well as in the continued success of SHOTOVER Camera Systems. Known for his passion, generosity and remarkable entrepreneurial leadership, the emergency transport program for Children’s Hospital Los Angeles was renamed in Alan’s honor as The Alan Purwin Emergency Transport Program. Even after his passing, Alan continues to be responsible for saving thousands of lives thanks to the program he made possible. Today, Helinet’s business continues to grow, serving Fortune 500 executives, celebrities, news stations, television and motion picture productions, and hospitals throughout California. From the direction of CEO Kathryn Purwin and President Jim McGowan, Helinet is continuing the legacy that was started by Alan.